Julian Joseph presents a performance by saxophonist Brian Molley and his quartet, recorded on the Jazz Line-Up stage at the Glasgow Jazz Festival. 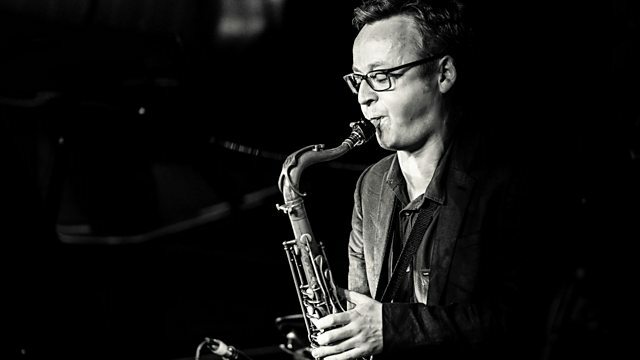 Julian Joseph presents a performance by saxophonist Brian Molley and his quartet recorded on the Jazz Line-Up stage at the Glasgow Jazz Festival. Brian has collaborated with a wide range of artists including saxophonist Stan Sulzmann, The Scottish National Jazz Orchestra and has also performed music for stage productions in London's West End and on Broadway, New York. Molley has a strong interest in world music and has collaborated with musicians from Morocco and has just returned from his third trip to India working with musicians from Rajasthan. Molley's quartet on this performance includes Euan Burton (bass), Tom Gibbs (piano) and Stu Brown (drums). The Passion of Charlie Parker.